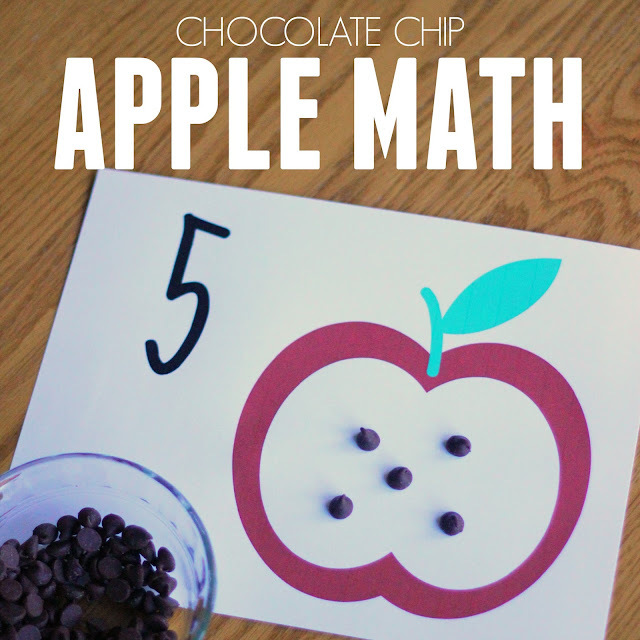 It is Apple Week, so we did some apple spin art and today we're doing some chocolate chip apple math! Our Virtual Book Club for Kids featured book this week is Ten Apples Up On Top by Dr. Seuss. 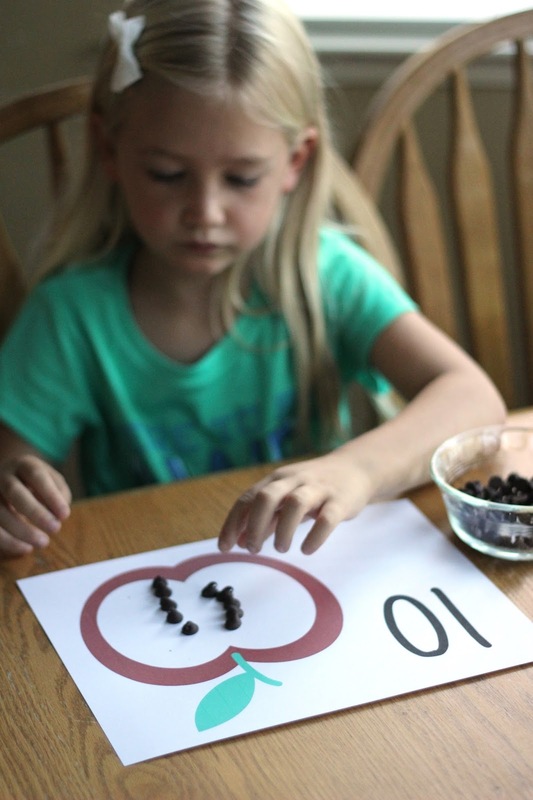 After reading the book we explored counting and numbers using some chocolate chips! 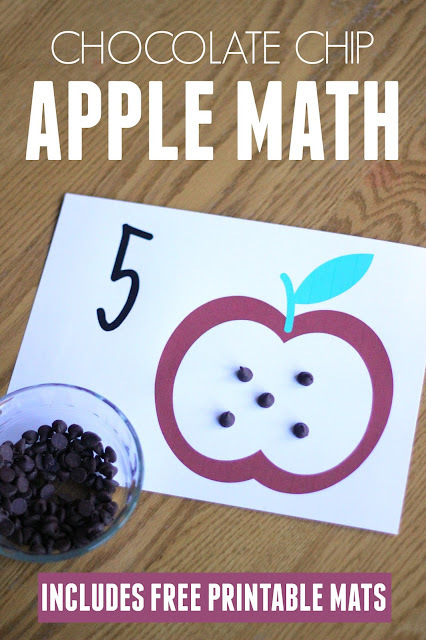 To get started you need to print out my apple math printables onto white cardstock and then grab a bowl of chocolate chips! Have your kids select a number card and use the chocolate chips to build that number inside of the apple. The chocolate chips represent the apple "seeds." The white part represents the flesh inside the apple. 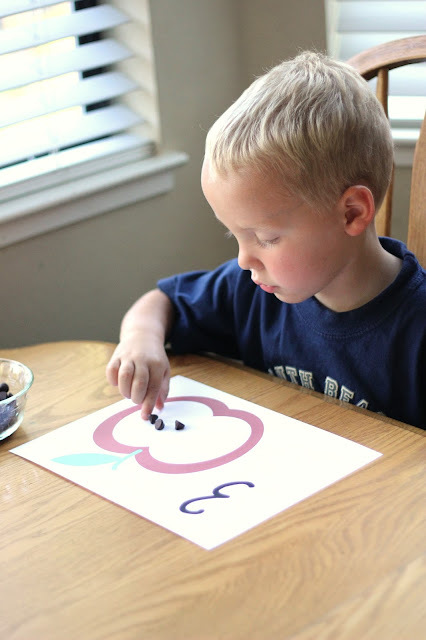 If you want to make it more challenging for older preschoolers and elementary school students, use the blank apple template and then write an addition or subtraction problem next to it. 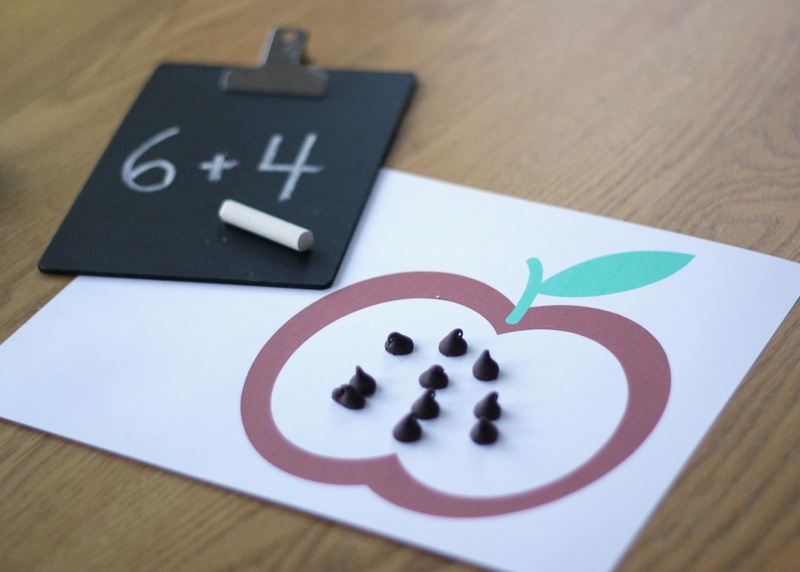 Have your child solve the math problem and put the correct number of "seeds" on the apple, based on the correct answer to the math problem. If your kids don't like chocolate chips (or you'd rather use something healthier), raisins make a good substitute. There are a lot of different ways to practice counting with your toddlers and preschoolers. We love to use hands on activities and manipulatives to help kids grasp the concept of counting. Movement activities that get kids jumping and running also help. Make sure to head over to I Can Teach My Child today to see all of the number activities that are shared as part of Jenae's Toddler Time series. We have also shared 18 of our favorite ways to play with numbers on the blog if you need additional ideas. Check out the hashtag #toddlertime to see more toddler activities from Jeane's series.